Cities: Capital: Kigali (est. pop. 1 million). 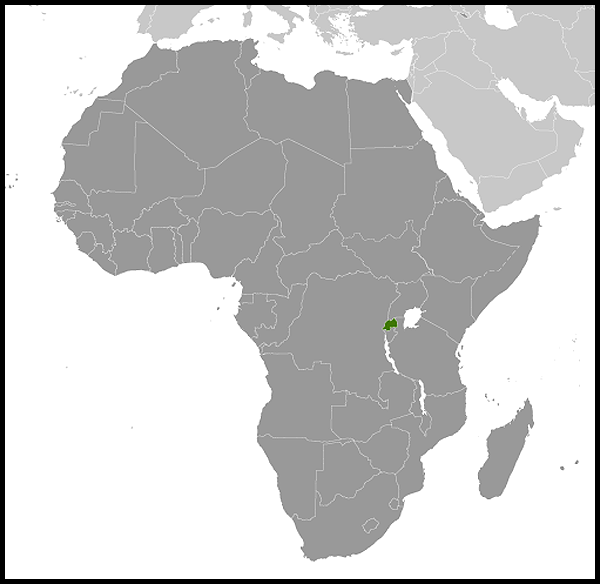 Other cities — Muhanga (formerly Gitarama), Huye (formerly Butare), Musanze (formerly Ruhengeri), Rubavu (formerly Gisenyi), Gicumbi (formerly Byumba), and Rusizi (formerly Cyangugu). Nationality: Noun and adjective — Rwandan(s) or Rwandese. Population (2011 est. ): 10.7 million. Annual population growth rate (2009 est. ): 3%. Religions (2010 est. ): Christian 96.9%, Muslim 1.3%, traditional African 0.1%, other 0.9%, 0.7% claim no religious beliefs. Education: Years compulsory: 9. Attendance (2010 est.) — 95%. Literacy (2009 est.) — 63%. Health: Infant mortality rate (2010 est.) — 50 deaths/1,000. Life expectancy (2008 est.) — 49.8 years. Work force (2008): Agriculture: 85%; industry and commerce, services, and government — 15%. Branches: Executive: president (chief of state), prime minister (head of government). Legislative — 80-seat Chamber of Deputies; 26-member Senate. Judicial — Supreme Court; High Courts of the Republic; Provincial Courts; District Courts; mediation committees. Political parties: There are 10 registered political parties, including the ruling Rwandan Patriotic Front (RPF), which leads a coalition that includes the Centrist [formerly Christian] Democratic Party (PDC), the Rwandan Socialist Party (PSR), the Ideal [formerly Islamic] Democratic Party (PDI), the Prosperity and Solidarity Party (PSP), the Concord Progressive Party (PPC), and the Democratic Popular Union (UPDR). Other parties include the Social Democratic Party (PSD), the Liberal Party (PL), and the Social Party Imberakuri (PS-Imberakuri). Suffrage: Universal for citizens over 18 — except refugees, prisoners, and certain categories of convicts. Central government budget (2011 est. ): 988 billion Rwandan francs ($1.6 billion). GDP (2011 est. ): $6.1 billion. Real GDP growth rate (2011 est., International Monetary Fund): 8.2%. Per capita income (2011 est. ): $560 (exchange rate); $1,600 (purchasing power parity). Average inflation rate (2011 est. ): 7.8%. Agriculture (2010): 33.6% of GDP. Products — coffee, tea, pyrethrum (insecticide made from chrysanthemums), bananas, beans, sorghum, potatoes, and livestock. Industry (2010): 14.1% of GDP. Types: cement, agricultural products, beer production, soft drinks, soap, furniture, shoes, plastic goods, textiles, cigarettes, and pharmaceuticals. Services (2010): 52.3% of GDP. Trade (2011 est. ): Exports: $295 million: tea, coffee, cassiterite, coltan, and pyrethrum. Major markets — Kenya, Democratic Republic of the Congo, and China. Imports — $1.315 billion f.o.b. : foodstuffs, machinery and equipment, steel, petroleum products, cement, and construction material. Major suppliers — Kenya, Uganda, United Arab Emirates, and Tanzania. Rwanda's countryside is covered by grasslands and small farms extending over rolling hills, with areas of rugged mountains that extend southeast from a chain of volcanoes in the northwest. The divide between the Congo and Nile drainage systems extends from north to south through western Rwanda at an average elevation of almost 9,000 feet. On the western slopes of this ridgeline, the land slopes abruptly toward Lake Kivu and the Rusizi River valley, which form the western boundary with the Democratic Republic of the Congo (formerly Zaire) and constitute part of the Great Rift Valley. The eastern slopes are more moderate, with rolling hills extending across central uplands at gradually reducing altitudes, to the plains, swamps, and lakes of the eastern border region. Rwanda's population density is currently the highest in continental sub-Saharan Africa. It is still a very rural society, and many families live in self-contained compounds on hillsides. The urban concentrations are grouped around administrative centers. The indigenous population consists of three groups, or ubwoko — Bahutu, Batutsi, and Batwa. Traditionally, the population also is affiliated with one of 18 clans. Accounts of the respective arrivals of each ubwoko centuries ago in the area of modern Rwanda were highly politicized throughout much of the 20th century. In 1994, the Rwandan Government exploited the former Belgian colonialists' "racialization" of differences among ubwoko and its inclusion on identity cards to fuel a state-orchestrated genocide. After the genocide, Rwanda's national unity government stopped collecting data on ubwoko and banned its inclusion on identity cards. All Rwandans share the same native language and culture, so ubwoko today reflects a family identity that has been passed patrilineally. The Rwandan Government does not permit politicization of this identity or any form of discrimination based on a person's ubwoko. Until 1994, educational opportunities for Rwandans were extremely limited. After the genocide, most primary schools and more than half of prewar secondary schools reopened, though no more than 5% of the adult population received secondary education through 1996. Although educational quality remains an issue, access to education expanded dramatically in recent years and the Government of Rwanda's Nine-Year Basic Education policy, implemented in 2010, contributed to an increase of the primary school completion rate from 52.4% in 2008 to 79% in 2011. Free basic education will be extended from 9 years to 12 years in 2012. The National University (NUR) in Huye (formerly Butare), Rwanda's sole university prior to 1994, reopened in April 1995; enrollment is over 7,000 students. Today, there are 29 institutions of higher learning in Rwanda. Between 1963 and 1993, Rwandan university graduates numbered roughly 1,900; today, Rwandan university enrollment exceeds 60,000. Sixty-three percent of the adult population is literate (2009). Building the educational system continues to be a high priority of the Rwandan Government. Rwanda has three official languages — Kinyarwanda, French, and English. The recent transition to English as the language of instruction in schools presents pedagogical challenges even as if offers prospects for increased opportunity within the East African Community and internationally. The kingdoms of Rwanda began coalescing in the 11th century. In the 15th century, Rwandans established a monarchy headed by a Tutsi mwami (king) with a hierarchy of Tutsi nobles and gentry. In some areas of the country, independent Hutu principalities continued to exist, and in other areas, Tutsi and Hutu lineages lived in interdependent cooperation under the nominal control of the king. During the 17th century, pastoral relations of reciprocity known as ubuhake evolved into a system in which Hutu farmers pledged their services and those of their descendants to a Tutsi lord in return for the loan of cattle and use of pastures and arable land. However, membership in an ubwoko and class were fluid. Affiliation was determined by paternal ancestors. Intermarriage and multiple marriages were common. Some Hutus took Tutsi status and some Tutsis lost their status as Tutsis. Most rural Tutsis enjoyed few advantages over rural Hutus. The first European known to have visited Rwanda was German Count Von Goetzen in 1894. He was followed by missionaries called the "White Fathers." In 1899, the mwami submitted to a German protectorate without resistance. Belgian troops from neighboring Belgian Congo chased the small number of Germans out of Rwanda in 1915 and took control of the country. After World War I, the League of Nations mandated Rwanda and its southern neighbor, Burundi, to Belgium as the territory of Ruanda-Urundi. Following World War II, Ruanda-Urundi became a UN Trust Territory with Belgium as the administrative authority. Reforms instituted by the Belgians in the 1950s encouraged the growth of democratic political institutions but were resisted by the Tutsi traditionalists who saw in them a threat to Tutsi rule. Hutu leaders, encouraged by the Belgian military, sparked a popular revolt in November 1959, resulting in the overthrow of the Tutsi monarchy. Two years later, the Party of the Hutu Emancipation Movement (PARMEHUTU) won an overwhelming victory in a UN-supervised referendum. Gregoire Kayibanda, leader of the PARMEHUTU Party, became Rwanda's first elected president, leading a one-party government chosen from the membership of the directly elected unicameral National Assembly. The Kayibanda government promoted a Hutu-supremacist ideology, and a series of anti-Tutsi "pogroms" and other violence gravely affected internal security and provoked the further flight of Rwandan Tutsis. Rwanda established relations with 43 countries, including the United States, during the first 10 years. Despite some progress, inefficiency and corruption festered in government ministries in the mid-1960s. On July 5, 1973, the military took power by force under the leadership of Maj. Gen. Juvenal Habyarimana, who dissolved the National Assembly and the PARMEHUTU Party and abolished all political activity. In 1975, President Habyarimana formed the National Revolutionary Movement for Development (MRND) as Rwanda's only legal party. The movement was organized from the "hillside" to the national level and included elected and appointed officials. During his tenure, violence against Tutsis continued without effective prosecution of wrongdoers, prompting more exoduses. Under MRND aegis, Rwandans went to the polls in December 1978, overwhelmingly endorsed a new constitution, and confirmed President Habyarimana as president. President Habyarimana was re-elected in 1983 and again in 1988, when he was the sole candidate. Responding to international as well as public pressure for political reform, President Habyarimana announced in July 1990 his intention to transform Rwanda's one-party state into a multi-party democracy. He also indicated that Rwanda "had no room" for its largely Tutsi population living in exile, so they were not welcome to return to Rwanda. On October 1, 1990, Rwandan exiles banded together as the Rwandan Patriotic Front (RPF) and invaded Rwanda from their base in Uganda. The rebel force, composed primarily of ethnic Tutsis who had not been allowed to return to Rwanda under the Kayibanda or Habyarimana regimes, blamed the government for failing to democratize and resolve the problems of some 500,000 Tutsi refugees living in the diaspora around the world. The war dragged on for almost 2 years until a cease-fire accord was signed July 12, 1992, in Arusha, Tanzania, fixing a timetable for an end to the fighting and political talks leading to a peace accord and power sharing, and authorizing a neutral military observer group under the auspices of the Organization for African Unity. A cease-fire took effect on July 31, 1992, and political talks began on August 10, 1992. The talks concluded in a peace accord that was not implemented. On April 6, 1994, the airplane carrying President Habyarimana and the President of Burundi was shot down as it prepared to land at Kigali. Both presidents were killed. Military and militia groups began rounding up and killing all Tutsis and political moderates, regardless of their ubwoko. The Rwandan prime minister and her 10 Belgian bodyguards were among the first victims. The killing swiftly spread from Kigali to all corners of the country; between April 6 and the beginning of July, a genocide of unprecedented swiftness left over 800,000 Tutsis and moderate Hutus dead at the hands of organized bands of militia — Interahamwe. Even ordinary citizens were called on to kill their neighbors, friends, and family members by local officials and government-sponsored radio; many complied. The president's MRND Party was implicated in organizing many aspects of the genocide. The RPF battalion stationed in Kigali under the Arusha Accords came under attack immediately after the shooting down of the president's plane. The battalion fought its way out of Kigali and joined up with RPF units in the north. The RPF then resumed its invasion, and civil war raged concurrently with the genocide for 2 months. French forces landed in Goma, Zaire in June 1994 and then deployed throughout southwest Rwanda in an area they called "Zone Turquoise," ostensibly to quell the genocide and stop the fighting there, though some Rwandans asserted that they were complicit; many members of the genocidal rump regime established after the genocide began escaped through the French zone to eastern Zaire. The RPF defeated the Rwandan Army, which crossed the border to Zaire followed by some 2 million Rwandans who fled to Zaire, Tanzania, and Burundi as refugees. The RPF took Kigali on July 4, 1994, and the war ended on July 16, 1994. The country was decimated, having been ravaged by war and a brutal genocide. Over 800,000 had been murdered, another 2 million had fled, and another million were displaced internally. The international community responded to the humanitarian disaster that developed among the refugees in Zaire with one of the largest humanitarian relief efforts ever mounted. The United States was one of the largest contributors. The UN peacekeeping operation, UNAMIR, was drawn down during the fighting but brought back up to strength after the RPF victory. UNAMIR remained in Rwanda until March 8, 1996. Following the establishment of armed groups and a local rebellion in the camps in eastern Zaire, Rwandan and Ugandan troops invaded in late 1996. This triggered the return of more than 800,000 back to Rwanda in the last 2 weeks of November, followed at the end of December 1996 by the return of another 500,000 from Tanzania, both of which occurred in huge waves. Roughly 70,000 Rwandans are estimated to remain outside of Rwanda, and they include remnants of the defeated army of the former genocidal government, its allies in the civilian militias known as Interahamwe, soldiers recruited in the refugee camps before 1996, as well as children of those groups and opponents of today's government. In 2001, with over 120,000 Rwandans in prison and virtually no judicial system in existence (most lawyers and judges had been killed or fled during the genocide), the government began implementing a grassroots village-level justice system, known as gacaca, to address the enormous backlog of genocide cases. Many convicted were sentenced to public service rather than prison, but because of the continuing high numbers of prisoners, the Government of Rwanda periodically arranged prison releases, including the January 2006 release of approximately 7,000 prisoners. By December 2010, gacaca officials reported having concluded more than 1.2 million cases. These courts planned to complete their caseload in 2011. After its military victory in July 1994, the RPF organized a coalition government called "The Broad Based Government of National Unity." Its fundamental law was based on a combination of the June 1991 constitution, the Arusha Accords, and political declarations by the parties. The government outlawed the MRND Party. 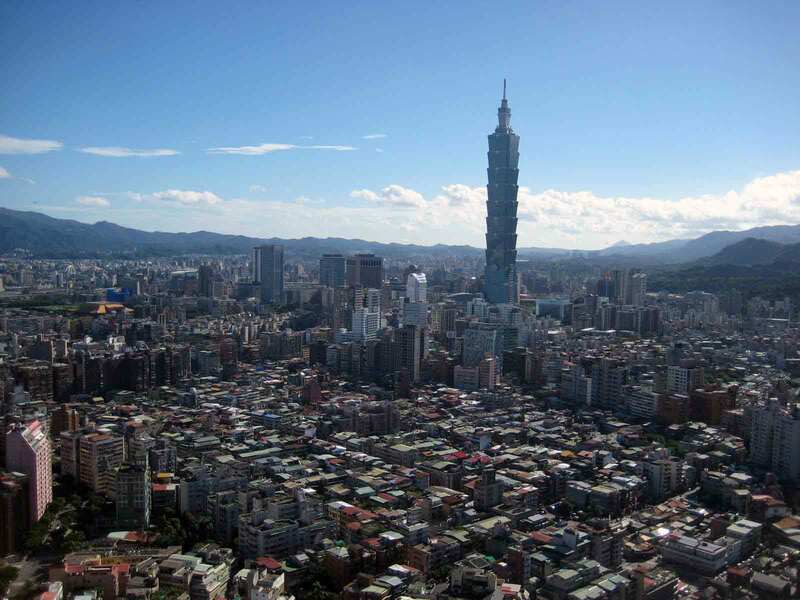 In April 2003, the transitional National Assembly recommended the dissolution of the Democratic Republican Party (MDR), one of eight political parties participating in the Government of National Unity since 1994. Human rights groups noted the subsequent disappearances of political figures associated with the MDR, including at least one parliamentarian serving in the National Assembly. On May 26, 2003, Rwanda adopted a new constitution that eliminated reference to ubwoko and set the stage for presidential and legislative elections in August and September 2003. The seven remaining political parties endorsed incumbent Paul Kagame for president, who was elected to a 7-year term on August 25, 2003. 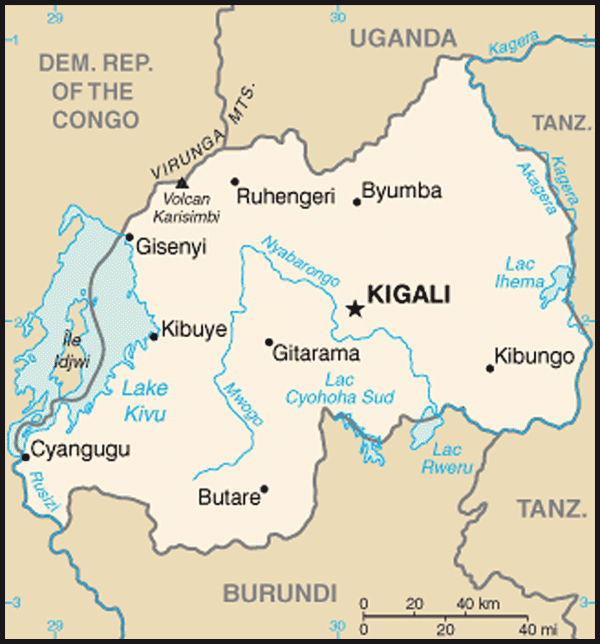 Rwanda held its first-ever legislative elections September 29 to October 2, 2003. A ninth political party formed after these 2003 elections. In the spring of 2006, the government conducted local non-partisan elections for district mayors and for sector and cell executive committees. Elections for the Chamber of Deputies occurred in September 2008; the RPF won an easy victory in coalition with six small parties, taking 42 of 53 directly-elected seats. As provided in the constitution, 24 seats were also accorded to women candidates in indirect elections. Women now hold 45 of the 80 seats in the Chamber. The elections were peaceful and orderly, despite irregularities. A tenth political party formed in 2010. Challenges facing the government include maintaining internal and regional security, promoting further democratization; judicial and media reform; completion of prosecution of remaining individuals for crimes relating to the 1994 genocide, either by the regular court system or the gacaca system; integrating former combatants and prisoners; preventing the recurrence of any insurgency directed by ex-military and Interahamwe militia who remain in eastern Congo; and the continuing work on medium- and long-term development. Rwanda maintains an embassy (http://www.rwandaembassy.org/) in the United States at 1714 New Hampshire Avenue NW, Washington, DC 20009 (tel. 202-232-2882). Since 1996, Rwanda has experienced steady economic recovery. The Government of Rwanda remains dedicated to a strong and enduring economic climate for the country, focusing on poverty reduction, infrastructure development, privatization of government-owned assets, expansion of the export base, and trade liberalization. Rwanda faces many challenges, including its dependence on significant foreign aid (now over $500 million per year). The Rwandan economy is based on the largely rain-fed agricultural production of small, semi-subsistence, and increasingly fragmented farms. It has few natural resources to exploit and a small, uncompetitive industrial sector. While the production of coffee and tea is well-suited to the small farms, steep slopes, and cool climates of Rwanda, the average family farm size is one-half hectare, unsuitable for most agribusiness purposes. Agribusiness accounts for approximately 33.6% of Rwanda's GDP and 45% of exports. In 2010 export earnings were led by tea and coffee followed by minerals, tourism, and pyrethrum (whose extract is used as a natural insecticide). Mountain gorillas and other niche eco-tourism venues are increasingly important sources of tourism revenue. During the 5 years of civil war that culminated in the 1994 genocide, GDP declined in 3 out of 5 years, posting a dramatic decline at more than 40% in 1994, the year of the genocide. The 9% increase in real GDP for 1995, the first postwar year, signaled the resurgence of economic activity and massive foreign aid inflows. In the immediate postwar period — mid-1994 through 1995 — emergency humanitarian assistance of more than $307.4 million was largely directed to relief efforts in Rwanda and in the refugee camps in neighboring countries where Rwandans fled during the war. In 1996, humanitarian relief aid began to shift to reconstruction and development assistance. Since 2002, the GDP growth rate ranged from 3% to 11% per annum, and inflation ranged between 2% and 9%. The agricultural sector performed strongly in 2009, propelling Rwanda to 4% GDP growth. This was well above the sub-Saharan average growth for the year, despite Rwanda's declines in overall exports (28% between 2008 and 2009) and remittances in 2009, which were due in part to the global economic crisis. GDP growth was estimated at 8.2% for 2011. The Government of Rwanda has sought to privatize several key firms. Since 2007, the telecom and mining sectors have been largely privatized. The government has sold off all but two government-owned tea estates and has made great strides in completing privatization of the banking sector. RECO, the utility monopoly, remains to be privatized, as do several other parastatals. The implementation of a value added tax of 18% and improved tax collections are having a positive impact on government revenues and thereby on government services rendered. Banking reform and low corruption also are favorable current trends. The tourism industry has potential for further growth given the current political stability, travel infrastructure, and extensive national parks as well as other potential tourist sites. In 2006, Rwanda completed the Multilateral Debt Relief Initiative and the Heavily Indebted Poor Countries (HIPC) debt initiative, significantly lowering its foreign debt load. Agricultural reforms, improved farming methods, and increased use of fertilizers are improving crop yields and national food supply. In the World Bank's "Ease of Doing Business" report released in September 2009, Rwanda catapulted from number 143 to number 67; in the 2010 report, Rwanda improved its ranking to number 58. Many challenges remain for Rwanda. Although the government is pursing educational and healthcare programs that bode well for the long-term quality of Rwanda's human resource skills base, Rwanda's fertility rate — averaging 4.6 births (2010 est.) per woman — will continue to stress services, and diseases such as HIV/AIDS, malaria, and tuberculosis will have a major impact on human resources. The persistent lack of economic diversification beyond the production of tea, coffee, and minerals keeps the country vulnerable to market fluctuations. The country's exports continue to lag far behind imports, and the weakness of exports and low domestic savings rates limit growth. Exports have increased ($295 million for 2011), but Rwanda depends on significant foreign imports ($1.3 billion for 2011). Private investment remains low, although investment insurance is available through the Africa Trade Insurance Agency, the Overseas Private Investment Corporation, and the World Bank's Multilateral Investment Guarantee Agency (MIGA). Perhaps the largest constraint on private sector development is the limited availability and high cost of electricity, which is currently among the highest in the world at about $0.20 per kilowatt hour. Hydroelectric power development is underway, albeit primarily in the planning stages, as is methane development, but the country's energy needs will stress natural resources in wood and gas. Rwanda is examining the feasibility of peat-based energy. Strong highway infrastructure maintenance and good transport linkages to neighboring countries, especially Uganda and Tanzania, are critical given Rwanda's landlocked geography. Rwanda has no railway system for port access to Tanzania or Kenya. Transportation costs remain high and, therefore, burden import and export costs. Over 40% of Rwanda's imports originate in East Africa. Rwanda is a member of the African Union (AU), the Commonwealth, the East African Community (EAC), the Common Market for Eastern and Southern Africa (COMESA), the Economic Community of Central African States (ECCAS), and the Economic Community of the Great Lakes Countries (CEPGL). American business interests in Rwanda are modest, and the African Growth and Opportunity Act (AGOA) has yet to make a significant impact in Rwanda. In addition to long-standing tea production by an American firm, in 2008 a U.S. corporation concluded an agreement with Rwandan authorities to produce 100 megawatts of electrical power from methane extraction operations in Lake Kivu. In 2009 a U.S.-British consortium signed an agreement with the government to develop a biofuel project based on jatropha, and a U.S. mining company expanded its investment in local mineral production. In 2010, RwandAir signed a contract with Boeing for the purchase of two Boeing 737-800 aircraft, for an estimated $80 million. American exports of aviation, telecommunications, and construction equipment have increased in recent years. In December 2011, the United States and Rwanda ratified the 2008 U.S.-Rwanda bilateral investment treaty (BIT) by exchanging treaty instruments of ratification signed by President Barack Obama and Rwandan Prime Minister Damien Habumuremyi. The treaty provides U.S. investors with legal protections that underscore the two countries' shared commitment to open investment and trade policies. The BIT is also intended to strengthen bilateral economic ties and enhance U.S. investor confidence in Rwanda, as well as Rwandan investor confidence in the United States. Rwanda's government-run radio broadcasts in Kinyarwanda, English, and French, the national languages. News programs include regular re-broadcasts from international radio such as Voice of America, BBC, RFI, and Deutsche Welle. There is one government-operated television station. In addition to government-operated Radio Rwanda, there are a number of independent FM radio stations. There are few independent newspapers; most newspapers publish in Kinyarwanda on a weekly, biweekly, or monthly basis. Several Western nations, including the United States, are working to encourage freedom of the press, the free exchange of ideas, and responsible journalism. The military establishment is comprised of a well-trained army and a small, rotary-wing air force. The Rwandan Defense Forces (RDF) is on an aggressive plan to professionalize. Following withdrawal of Rwandan Armed Forces from the Democratic Republic of the Congo in October 2009, the government completely restructured the military and launched an ambitious plan to demobilize thousands of soldiers. At end state, Rwanda will have a small, well-equipped army of 20,000 soldiers and a reserve force of more than 100,000. Rwanda plays a growing role in international affairs, including important contributions to international peacekeeping missions. In 2011, Rwanda deployed approximately 3,500 RDF peacekeepers to Sudan and South Sudan in support of UNAMID, UNMIS, and UNMISS. As of September 2011, Rwanda was training its 28th peacekeeping battalion since 2006. Rwanda National Police (RNP) has approximately 375 peacekeeping officers serving in UN missions in Cote d'Ivoire, Haiti, Liberia, and Sudan. Rwanda is among the top 10 troop-contributing countries for UN operations. Some 24 nations — including Belgium, Canada, China, Democratic Republic of the Congo (D.R.C. ), Egypt, France, Germany, the Holy See, Japan, Libya, the Netherlands, the Republic of Korea, Russia, Sweden, Switzerland, Somalia, South Africa, Sudan, the United Kingdom, the United States, and all members of the EAC (Kenya, Tanzania, Uganda, Burundi) — maintain diplomatic missions in Kigali, as does the European Union. In December 2008, after months of bilateral discussions, Rwanda and the D.R.C. announced rapprochement and a joint military operation against a root cause of instability in the Great Lakes Region — the FDLR (Democratic Forces for the Liberation of Rwanda). The two nations' forces also cooperated in reintegrating renegade general Laurent Nkunda's CNDP rebel force into the Congolese armed forces (FARDC); Nkunda was detained by Rwandan authorities. In the fall of 2006, Rwanda broke diplomatic relations with France following a French judge's indictment of senior Rwandan officials on charges of having participated in the shooting down of the presidential jet in 1994. Rwanda rejected those charges. In January 2010, Rwanda and France renewed their diplomatic relations after France indicated it had reopened its investigation of the 2006 charges. Rwanda, along with Burundi, joined the EAC in 2007, and it acceded to the Commonwealth in 2009. U.S. Government interests have shifted significantly since the 1994 genocide, from strictly humanitarian concern focused on stability and security to strong partnership with the Government of Rwanda focused on sustainable development. The three largest U.S. Government assistance programs are the President's Emergency Plan for AIDS Relief (PEPFAR), the Feed the Future food-security initiative, and the President's Malaria Initiative, which aim to reduce the impact of two of the most prevalent debilitating diseases, and to reduce poverty and household food insecurity through improved agriculture and income opportunities. In partnership with the Government of Rwanda, U.S. Government (USG) agencies — U.S. Agency for International Development (USAID), Centers for Disease Control and Prevention (CDC), State Department, Peace Corps, and Department of Defense — work to strengthen Rwandan institutions and build local capacity. USG programming plays a major role in helping Rwanda to improve the health and income opportunities of its people as well as the capacity of its institutions and systems to promote sustainable development. To achieve these ends, USAID activities focus on:Prevention, treatment, and care of HIV/AIDS;Reducing mortality and morbidity due to malaria;Promoting rural economic growth through agriculture-sector policy reform; increased production of staple crops, high-value crops for export, and dairy; and eco-tourism;Increasing rural household income through more efficient agricultural techniques, income diversification, and increased access to credit for small producers;Increasing access to, and use of, voluntary family planning methods;Improving maternal and child health;Reducing post-harvest losses of agriculture produce through improved handling and storage technologies;Increasing literacy and numeracy through improved quality of primary education;Encouraging participatory governance and decentralization; andPromoting a democratic Rwanda, where the government respects human rights, civil liberties, and the rule of law. The State Department's Public Affairs section (PAS) maintains an Information Resource Center (IRC) in Kigali, which offers public access to English-language publications, an English language lab for those preparing for English language exams, information on the United States, and information on studying in the United States. PAS closed the American Corner at the National University of Rwanda (NUR) in Huye (formerly Butare) in 2011, but will open a new American Corner in 2012 at the Rwanda Tourism University College (RTUC) in Rubavu (formerly Gisenyi). PAS also supports an English Language Resource Center at the Catholic Institute of Kabgayi (ICK) in Gitarama. American business interests have been small; currently, private U.S. investment is limited to the tea industry, energy, mining, franchising (FedEx, Coca-Cola, Western Union, and Moneygram), and small holdings in service and manufacturing concerns. Annual U.S. exports to Rwanda, under $10 million annually from 1990-93, exceeded $40 million in 1994 and 1995. Although exports decreased in the years immediately after the genocide, in 2010 they were estimated at approximately $31 million out of a total bilateral trade of $37 million. The U.S. Embassy (http://rwanda.usembassy.gov/) is located on 2657 Avenue de la Gendarmerie, Kigali (tel. 250-596-400, fax 250-596-591).